The Cremation with State honours of Venerable Prof.Bellanwila Wimalarathana Anunayake Thera will be held on February 8, at the Sri Jayawardenapura University Grounds, a member of the Cremation Committee said. 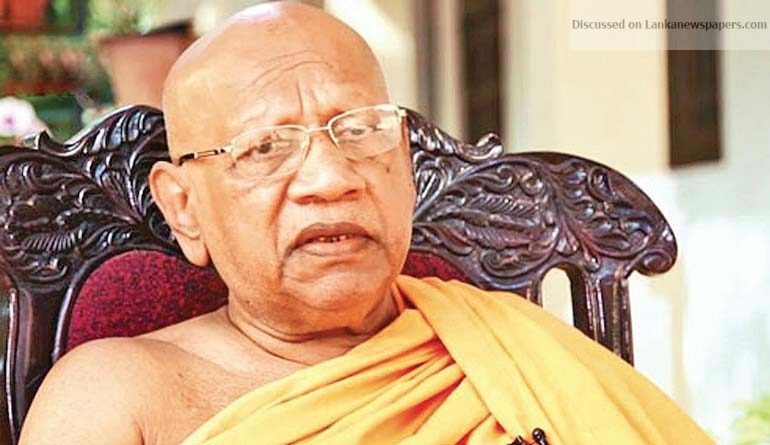 It has been revealed that the Thera passed away as a result of heart failure and not due to being attacked by the Temple tusker, Venerable Dr. Bellanwila Dhammaratana Thera said. The media had earlier reported that the Venerable Prof. Bellanwila Wimalarathana Thera had been attacked by the Temple’s tusker Miyan Kumara but these claims were refuted by Venerable Dr. Bellanwila Dhammaratana Thera. Ven.Dhammarathana Thera explained that Ven. Prof. Bellanvila Wimalarathana Thera was in the habit of feeding the elephant with a bunch of fruits in the mornings when the elephant reached into the prelate’s room. On the day of the incident, however, the Thera had visited the elephant’s stable to feed him and the elephant had accidently struck the Thera and he had fallen. Later, on the request of the Thera, the Thera had been admitted to a private hospital where he passed away.